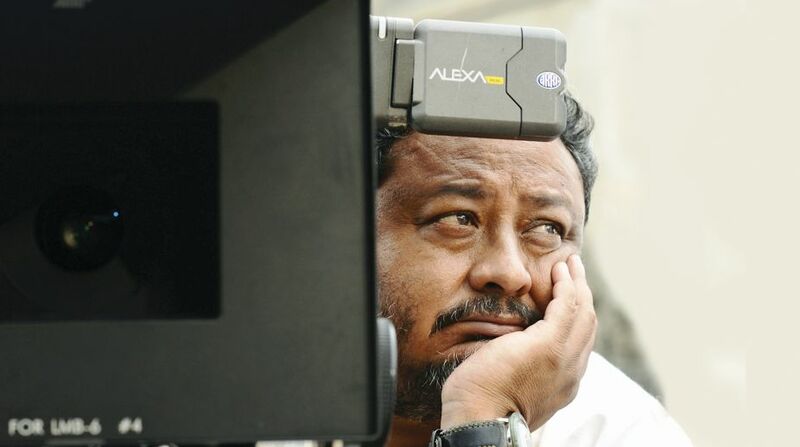 Premendu Bikash Chaki is a veteran cinematographer who has shot every kind of film in contemporary Bengali cinema. With Honeymoon, adapted from Samaresh Basu’s laugh-riot Chhutir Phande, he debuts as a full-fledged director. Honeymoon has been produced by Shyam Sundar Dey. Q. What motivated you to step into direction? The two people who conduct the floor during a shoot are the director and cinematographer. I have done my stint as director of photography for many years but I always found direction more attractive. During my time as DOP, I was always nudged by this feeling that I wanted to sit on the director’s chair. Q. As a cinematographer, you have worked with many directors. Can you name a few you have learnt from? I began with television. I remember working with Aparna Sen when she was making Undying City for Prasar Bharati. She took care of the tiniest nitty-gritty whether it was about the set or props and the variations in which those props could be used. It was a wonderful learning experience. Anjan Dutta taught me how to create a big sequence with five to seven actors with amazing artistry and skill. He would do all this within minimum time; draw the best out of his actors and all this, without compromising on the script. Shekhar Das’s first film Mahulbanir Sereng is special. He has been a close friend much before he stepped into direction. We played a lot with the lens and the length of the shots. Each shot was preceded by long discussions. We shot across four villages in Jharkhand, Bolpur, Kayaler Bagan and mixed the shots to portray a single village. This was done so seamlessly that the audience had no clue that there were several villages made to look like one. For Krantikaal, we had to shoot the entire film in a single house within a very short time. On the other hand, Prabhat Roy introduced me to mainstream films. I observed him at work closely — from his shot divisions to the final product. He often asked for a re-shoot after pack-up was announced. I did not understand that but when I sat at the editing table or for colour correction, I understood how important it was to reshoot, and simplify a story. I learn from him even today when I sit with him for a simple chat. He inspired me to step into direction. Q. How different is direction from cinematography? When I am working as a cinematographer, my entire concentration is on making images, the aesthetics and on the technicalities of storytelling. As a director, I have to be in full command of all the segments involved. A director has to involve himself with every department of filmmaking — acting, the photographic angles for the actors so that viewers find them appealing, dialogue delivery and what not. Then there is the background score, soundtrack and songs. Direction demands much more responsibility than cinematography. Q. What made you decide on a comedy for your debut film? Everybody likes to laugh. Romance is also very attractive for viewers. I felt if I could combine comedy with romance, it would appeal even more. I had already directed a comedy for television and that gave me the confidence. The other reason is that today, Bengali cinema is based more on detective stories than on romantic comedy. Literature as a source is more or less absent today. The Golden Period of Bengali Cinema is generously dotted with cinema based on the works of Tarasankar Bandopadhyay, Bonophul, Bibhutibhushan Bandopadhyay and Saktipada Rajguru. Saratchandra’s popularity across Indian cinema is known to everyone. So, I fell back on a Samaresh Basu story, which was an intelligent punch of comedy and romance. Q. Which directors in Indian cinema have been idols never mind whether you have worked with them or not? I would have loved to assist Subrata Mitra for Satyajit Ray’s Charulata. It is marvellous to see how beautifully those two great artists created a symbiotic relationship to produce a beauty like Charulata. The other person I really wish I could have worked with is Shaji N Karun when he was directing his first film Piravi in 1989. The film was shot on celluloid almost without any artificial lighting. It was as if the camera was telling the story with the creative support of the entire ambience. Q. In what way is Honeymoon similar to Chhutir Phande? In no way whatsoever! I had instructed my actors and crew not to follow the earlier film in any way. The story is Samaresh Basu’s but we have contemporised it to suit the present milieu. The two lead actors, Soham and Subhashree, are young and have a different screen image. Ranjit Mullick makes a comeback after five years. Q. Honeymoon is probably the first Bengali film that offers wholesome family entertainment expressed through comedy. Are you happy with the final result? Of course I am very happy. But I would have been happier if I saw everyone going together to the theatres to watch the film. The people I have spoken to have loved the film. Many across social media are congratulating me for making a good film but I have no idea whether they are watching it.